Fest Info: “Entrepreneur” is a French word which means “one who undertakes an endeavor”. An entrepreneur is inspired by a thought or an idea and organizes, manages and assumes the risks of a business or enterprise. Living in the future, he innovates and thrives on change by his creative personality. His journey of thousand miles begins with a single step that in turn makes the odyssey of business both inspiring and meticulous, beautifully imbuing the commercial as well as societal aspects. 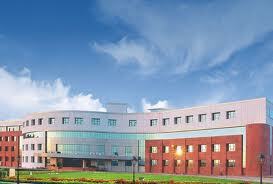 Amity Business School (ABS) at Amity University Rajasthan (AUR) realized the significance of entrepreneurial spirit and its need in a Nation’s growth and social development. Further, to celebrate the spirit of entrepreneurship and contribute towards entrepreneurship development, ABS at AUR in collaborat! ion with Rajasthan Venture Capital Fund (RVCF) is organizing “Rajasthan Business Plan Competition – 2012: 2nd Edition” at AUR campus. We look forward to receiving your business plans and hope that this competition will play a part in the success of any entrepreneurial venture you may be involved in future. However, whether you go on to implement your business plan or not, your experience will be an exciting, challenging, and rewarding one. Amity’s aim is to identify, promote and support entrepreneurs who have plans to set up a venture in Rajasthan. We, at Amity invite both product & service based business plans and those having innovative and constructive social impact will be appreciated.